Jim Malliard has learned a lot about life while investigating the afterlife. How to persevere when faced with adversity has been one lesson. 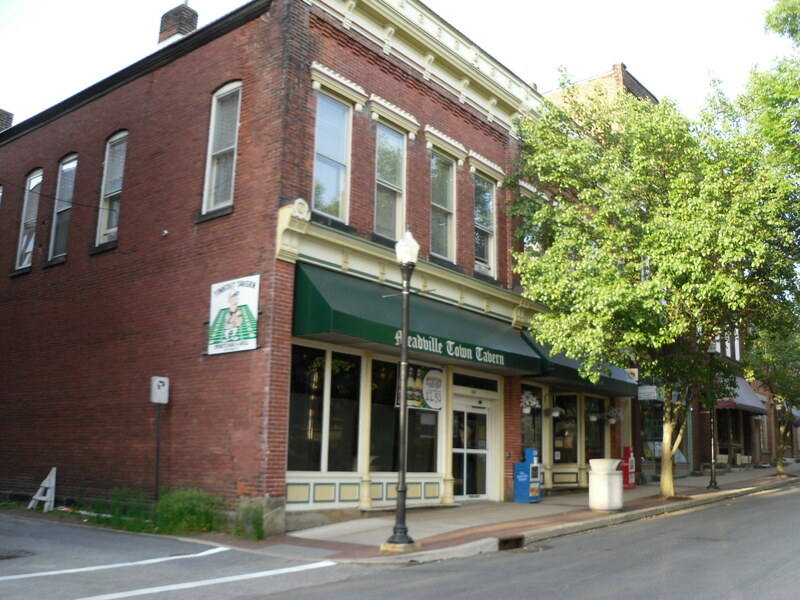 People haven’t taken too kindly to the talk of ghosts, strange electromagnetic activity, and other paranormal phenomena in Malliard’s hometown of Meadville, Penn. 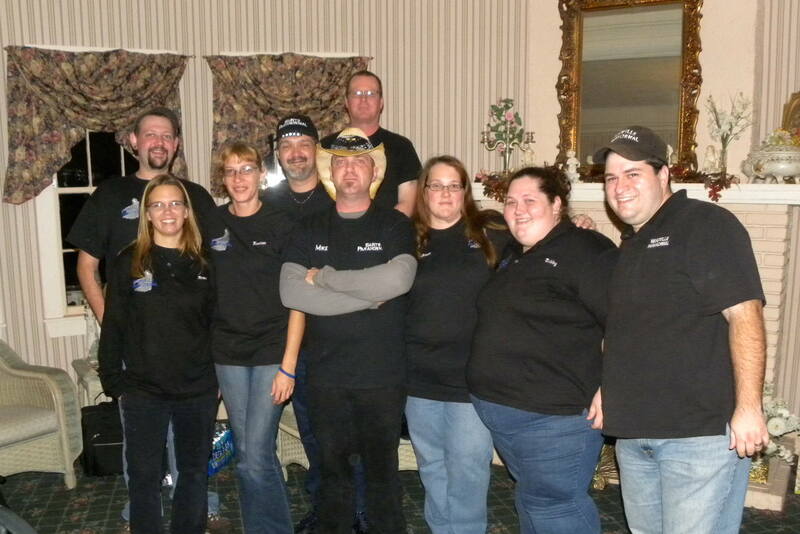 Many of its residents had never heard anything about paranormal investigation before Malliard established his tight-knit, dynamic, and slightly quirky investigation team, Meadville Paranormal, in 2008. Aside from the struggle for acceptance in their community, the investigators have also met with internal challenges. Malliard described an event in 2011 that “shook the team to the core.” One of the team’s junior investigators, Matt Myers, was diagnosed with Leukemia. Malliard and his wife were at a demolition derby at the county fair when they heard the news. They left to go to the hospital in Pittsburgh and be with their teenaged teammate. “It made us realize that there are definitely more important things in life—not necessarily the afterlife—that we need to pay attention to,” Malliard reflected. Thankfully, Matt’s health has since improved. The team has become like family, Malliard said, and each member has his or her strength. 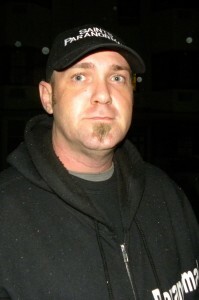 His wife, Tabby, is one of the members. One of her strengths is investigating the electronic voice phenomenon (EVP). Spirits are said to communicate through electronic devices; sometimes the dead are even said to make telephone calls to the living. Investigators listen to the noise between radio stations or watch a blank channel on television, for example, and reportedly hear words spoken by the dead. Malliard can’t hear EVP, which he said Tabby would attribute to his chronic selective hearing. But he does consider himself somewhat of a seer. His ability to sense things most people can’t became apparent at the age of three. 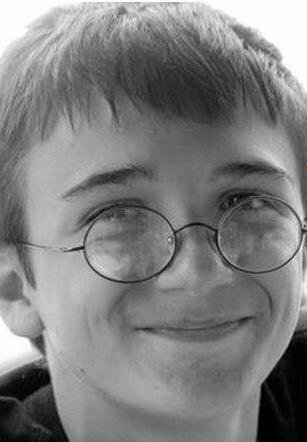 He would tell his parents about the people he could see in the cemetery, people invisible to all others. Bill Allen and Joebob (surname withheld) “are not necessarily interchangeable,” Malliard said with a laugh, but they seem somehow inextricably linked. They share the same birthday as well as the same sober personality traits: “They are more level-headed, quiet, strong types,” Malliard explained. A couple of junior investigators have grown up with the team, and though they are now older than 18, the “junior” prefix seems to have stuck. Malliard gave an example. Smith had just moved back to town after living away for a while. Malliard figured Smith would be busy unpacking, so he didn’t call him to an investigation the team was conducting. Malliard usually turns off his phone when he’s with a client, but a ringing interrupted the investigation this time. It was Smith. “Why didn’t you call me to the investigation?” he asked. He told Malliard, without having been told himself what the team was doing at the time, that the answer to the questions they had been asking for the past 15 to 20 minutes was under the coffee table. Malliard looked at the coffee table in the client’s living room. It was bulky and covered with books and other objects. He didn’t particularly want to, a) seem crazy by asking the client to flip over the coffee table, b) go through the physical trouble of clearing it off and flipping it. But, at Smith’s urging, Malliard complied. The production numbers written on the bottom of the coffee table corresponded to the date the client’s child had died. While it was, in a way, the answer the client was looking for, it was also a difficult one to face. It was an intense moment for that reason, but Malliard said Smith also adds intensity to the investigations because he can be very cryptic, which can be frustrating to the others. Part of his antidote to fear is also his skepticism. He said he 100 percent believes that paranormal phenomena do exist, but with individual cases, even when he hears or sees something himself, he questions it. Learning to accept things that are hard to accept has been part of Malliard’s journey. He began hosting his paranormal talk radio show, the Malliard Report, in 2011. 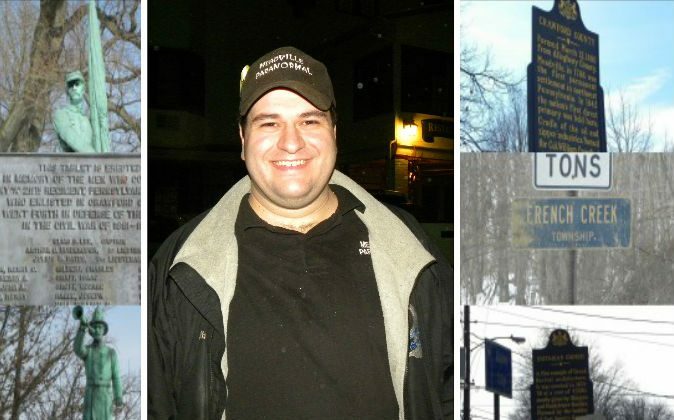 He has interviewed a variety of like-minded researchers, and some not so like-minded, beyond Meadville’s borders. He gave the example of a guest who believed demons are behind everything. While Malliard doesn’t believe this to be true, he found it interesting to hear why this guest thinks it’s so. A growing number of scientists are calling for a shift in scientific methods to acknowledge phenomena commonly experienced but difficult to study according to conventional methods. Exorcism has a new name—spirit release therapy—and a place in psychologists’ offices.